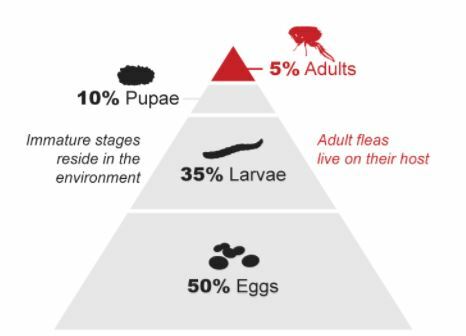 A good first step in the fight against fleas is identifying where they are most common. This is usually where your pet spends a lot of time, e.g. eating or sleeping. 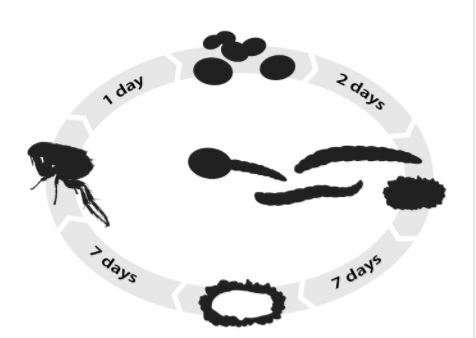 Because flea eggs don’t stick to the animal but drop off, you can expect a lot of fleas in those areas. One of the best ways to test for fleas is the white sock test. Walk through your home wearing white socks. The fleas, attracted by the warmth and movement when you walk will jump to your feet and ankles. it is easy to see their dark bodies against the white background of the socks. Once you have located the flea hot spots it is a good idea to vacuum. Regular vacuuming can reduce flea populations. Vacuuming removes flea feces which is an important source of food to flea larvae. Make sure to dispose of the vacuum waste/bag outside in a bin as you may have collected eggs, larvae, and adult fleas. Despite these measures, you will probably still need to use an insecticide. 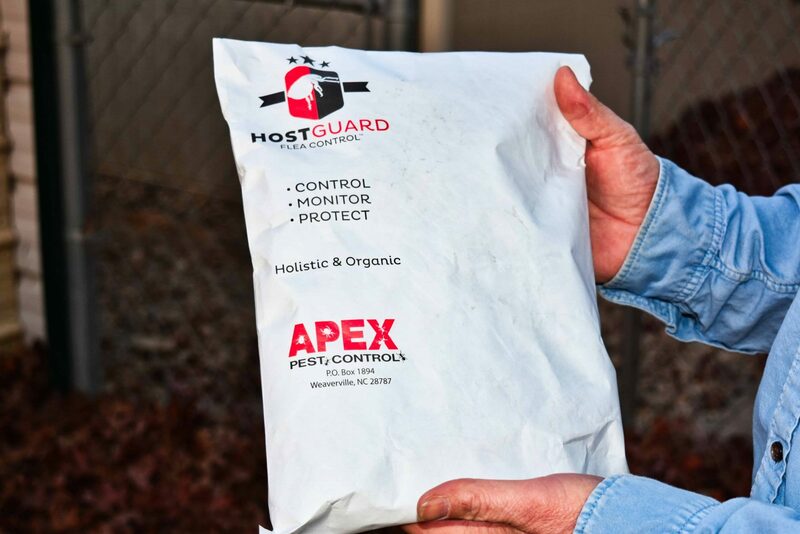 Apex Pest Control has the right chemicals to get the job completed the first time. However our new fully Organic Flea Control System can be used as a natural solution and also with a chemical. 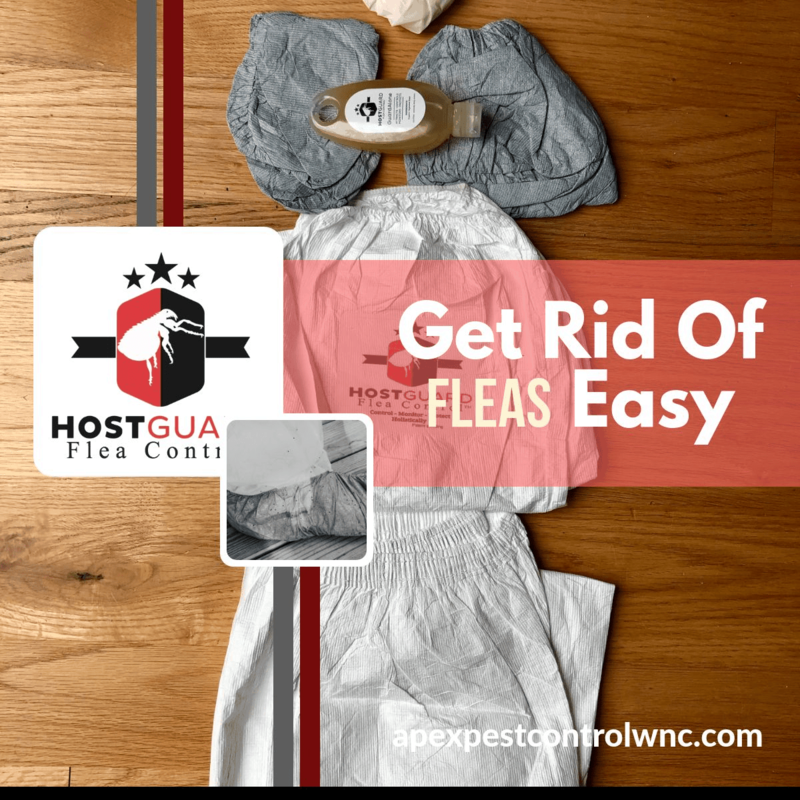 This is how your hostguard flea control package will come; you will open the package above and you will have a very simple and easy to use flea control system. Be prepared for flea season and buy now to ensure you are ready to respond and the first site of a flea infestation. Our Patent Pending Guardalone Product is 100% organic and is a corn starch derivative, we believe this to be 100% safe and organic. If you have any allergies please read the product label carefully and follow all instructions. We recommend that people with sensitive skin ensure they use the supplied PPE Protection and if a reaction happened due to getting it on the skin by mistake discontinue if irritation occurs. Guardalone is not approved or registered by the FDA and as such is used as a natural and organic method of flea control.True products are made with naturally derived ingredients, which are considered wholly organic, which in rare cases may cause sensitivity in certain individuals. 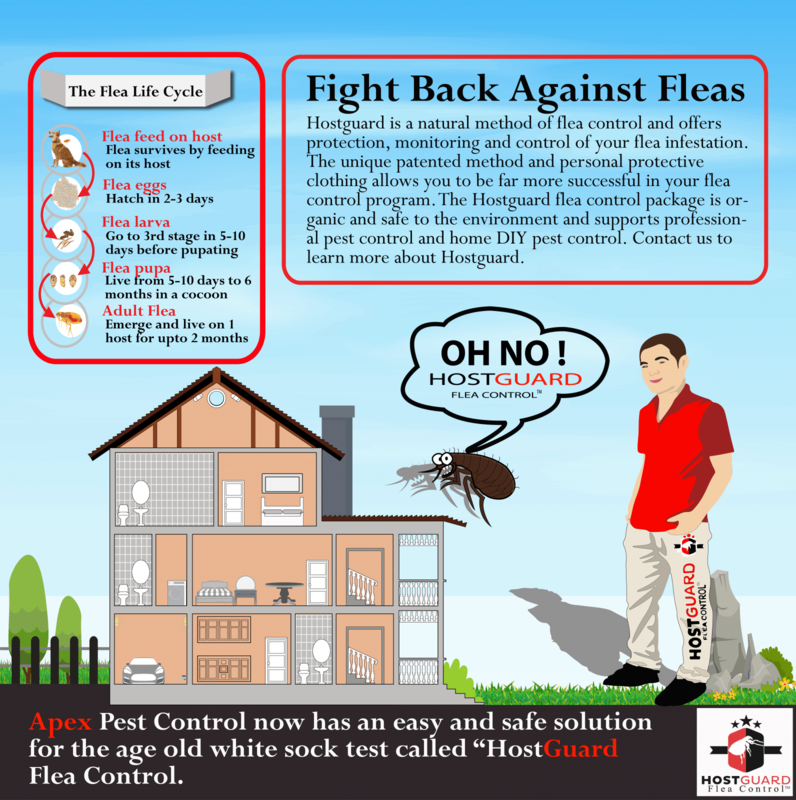 If sensitivity occurs, discontinue use immediately.Products and advice by Hostguard make no claim to eradicate heavy infestations but help PCO’s and DIY Pest enthusiasts to control, monitor and protect flea infestations. Eradication is possibly dependent on current infestation level.In the case of reaction or pregnancy please consult with your healthcare professional.All products are for external use only and may be harmful if swallowed. Keep away from children and pets!